Today the Digital leaders researched a website called Code Kingdoms . 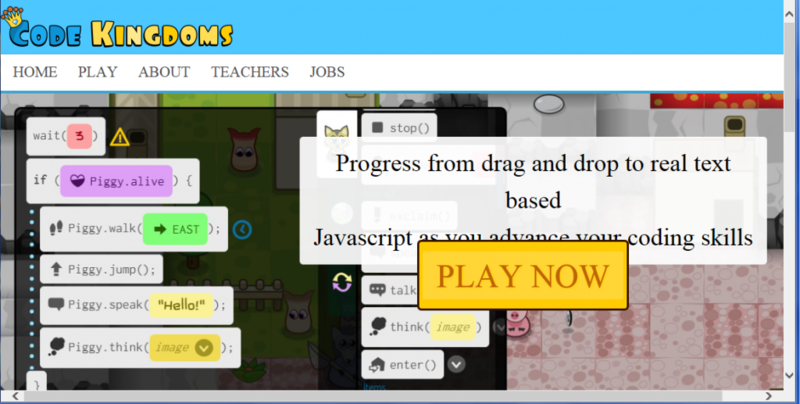 We tried out a new website that allows you to build your own game; It was quite tricky! Knowing the fact the game was very hard we still continued. Some of us commented by saying this game was like Minecraft. A few of us tried to create our own game but we found it tricky. First of all we didn’t know how or where to take our avatar ( character). Then we finally thought we were done and tried to test the game. Unfortunately, we had some mistakes. We tried hard and started to get the knack of playing and creating the game. We will to continue next week !! !